Mt. Olive - Mr. William Morise (Marshall) Raynor, 93 of 597 Elmore St. transitioned Thursday, September 27, 2018 at Wayne UNC Hospital. He was born to the late Walter McKinnie and the late Marie Raynor Marshburn in Mount Olive, North Carolina where he attended Carver High School. He was employed as a supervisor at Mount Olive Pickle Company where he retired with thirty-five years of service. 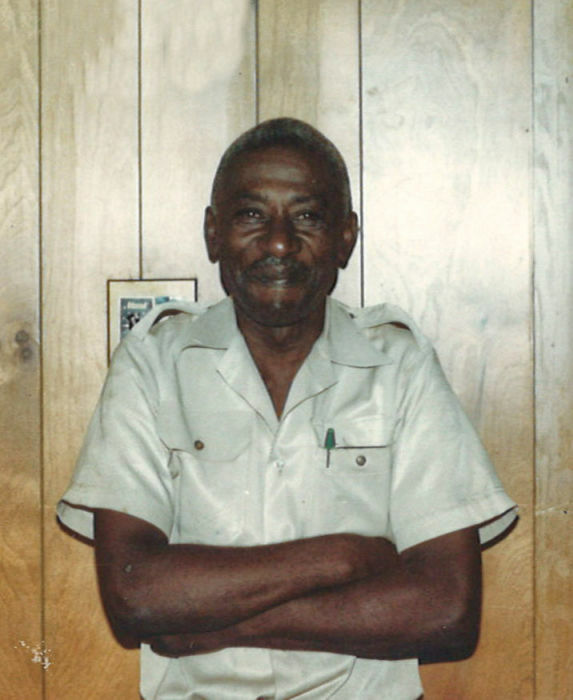 Following retirement Morise started a lawn care service that he operated until his death. Cherished memories will linger in the hearts of his loving wife, Dorothy Mae Raynor; two daughters, Billie Carol Williams and Katrina Raynor Smith, both of Dudley; two grandsons, Gregory Smith of Goldsboro and Marcus (Katina) Smith of Pikeville; three great-grandsons, Donnquell Smith of Goldsboro, Tariq Smith of Chowan University and Keshawn Smith of Goldsboro; one great-great-grandson, Zechariah Smith of Goldsboro; five brothers, Alphonso (Bernadine) Marshburn of Washington, D.C., Ben Marshburn (Earlene) of Mt. Olive, Walter McKinnie, Jr. (Marian) of Fishers, Indiana, Wayne McKinnie (Carolyn) of Durham, Carl McKinnie (Marva) of Durham; two sisters, Carolyn West (Lee) of Mt. Olive and Joyce Ann Williams (Arthur) of Washington, D.C., and a host of nephews,nieces, other relatives and friends. In addition to his parents, he has been reunited with his sister, Sandra McKinnie Blanding.